My two girls were recently in the Nutcracker ballet. They love it not only because of dance, but because of the excitement of being a part of something, looking up to the “big girls,” and exchanging gifts backstage with friends. 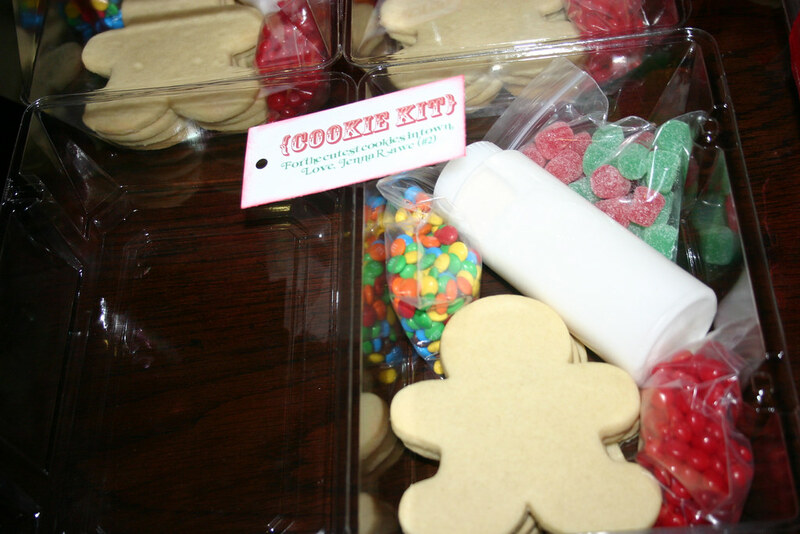 Jenna was a “gingerbread cookie” so we made her cookie friends a cookie kit! This was inspired by my good friend Lauri’s Chirstmas gift years ago. She thought of putting them in a corsage box. Since then it has been one of my favorite ways to package things. My floral supply store has a variety of sizes. 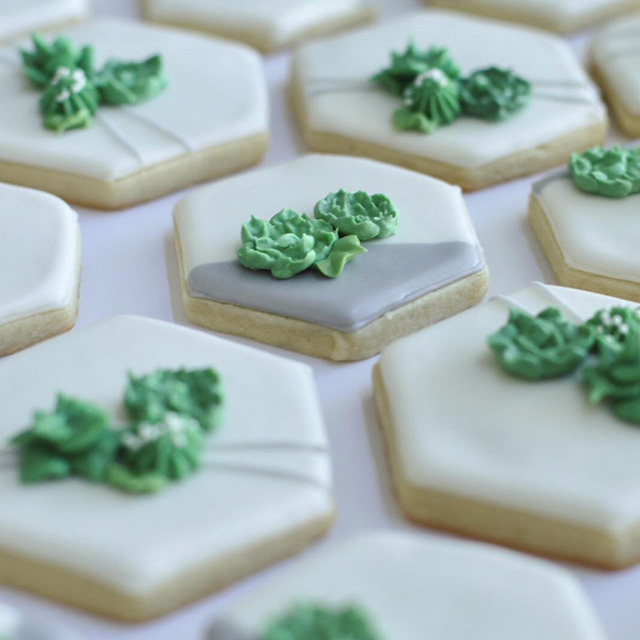 I made sugar cookies instead of real gingerbread because I know all kids love a sugar cookie. I bought a wilton squeeze bottle for each and made frosting, packed some treats, made a bow and a tag, and they were a really fun gift. Lindsey was a “baby mouse” so I had to really rack the brain to think of a mouse treat! 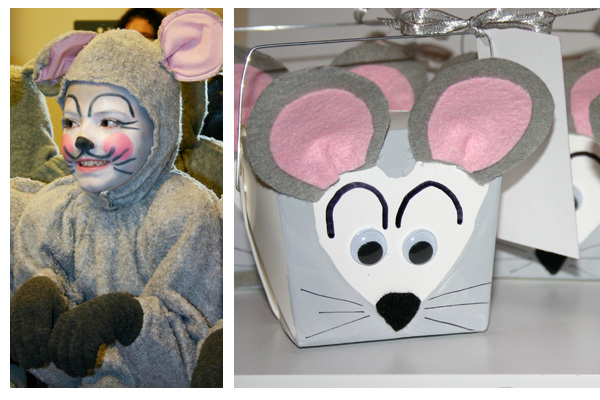 I had some of the take-out style boxes and with a little grey paint and felt, they were transformed into a mouse treat. They were looking like a bunny until I made the face pointy. They still aren’t a masterpiece, but I’m sure the kids liked the treats in it! 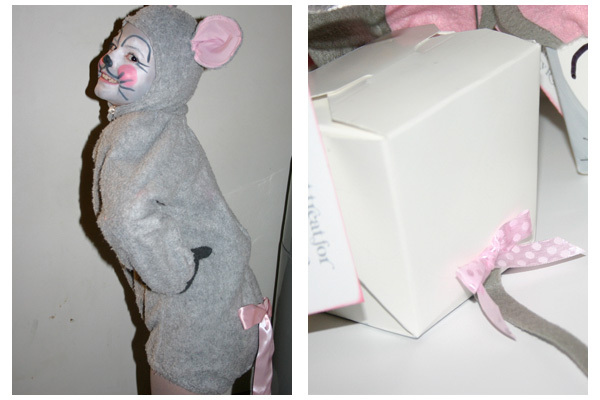 My favorite part of the costume is the tail that is attached with a pink bow. I made sure the boxes had that too. This is the fun stuff I love to do with my kids when we aren’t in school and we can just play! To be honest, I think we’re been “playing” too much because I’ve been running really late in the Christmas department. Oh well, It will get done… hopefully… deep breath. that's so cute. 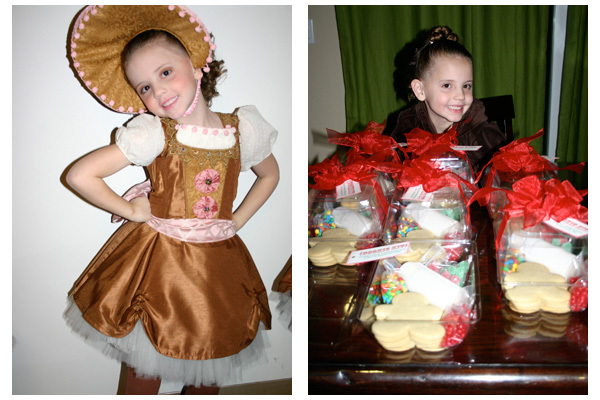 I hope your girls enjoy dancing in the nutcracker; their costumes are beautiful! I love reading your blog this season. It reminds me of all the things I would like to do, but everything has been about Leah. There is always next year! So since you are sharing this can I use some of these ideas next year as long as I don't overlap with the tenth ward? 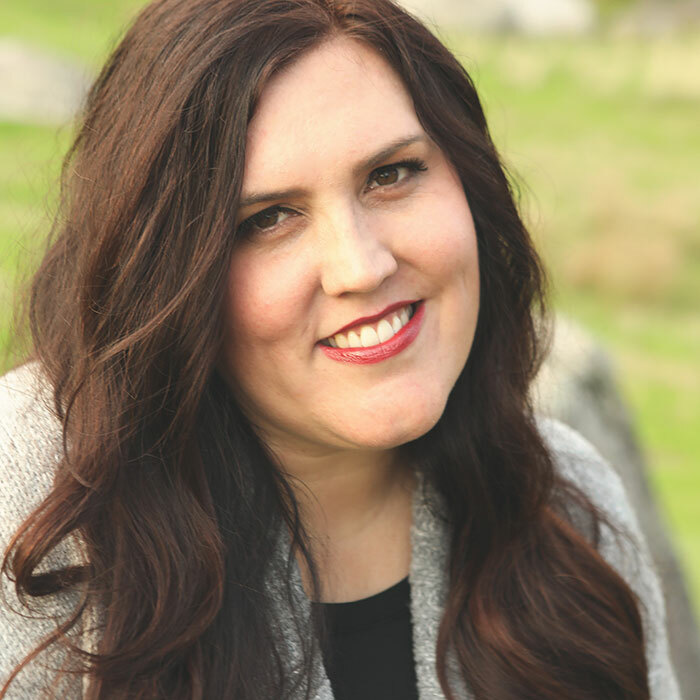 Stacey- sharing/ recycling/ copying ideas is why we do this blog! All of my ideas start from somewhere else, just passing them along. Enjoy your sweet baby girl. Is the bottle full of Royal icing?